We've talked about this before on Fstoppers, but there still seems to be some debate about lens compression. Let's dive a little deeper into perspective distortion. We all know that if you shoot a portrait of someone's face up close with a wide angle lens, their face will be distorted and the background will appear extremely far behind them. This is called "extension distortion." 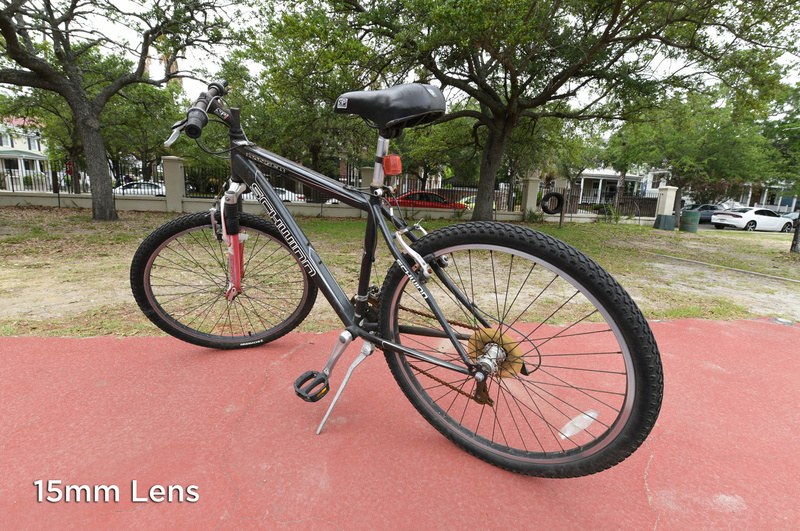 If you back up and take a picture of the same person with a telephoto lens, the subject and background will become more "compressed" meaning that the foreground and background will appear closer together. This is called "compression distortion." 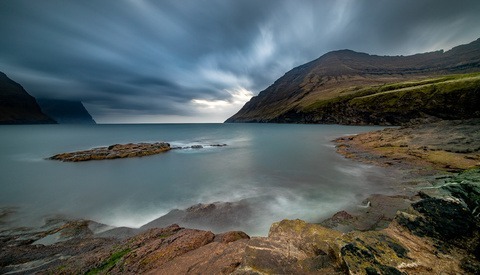 These noticeable differences lead most photographers to believe that wide angle lenses are distorting a scene while telephoto lenses are compressing a scene, but they are overlooking what is actually happening: the camera is moving. In reality, the distance from the camera to the subject is what is creating these distortions. 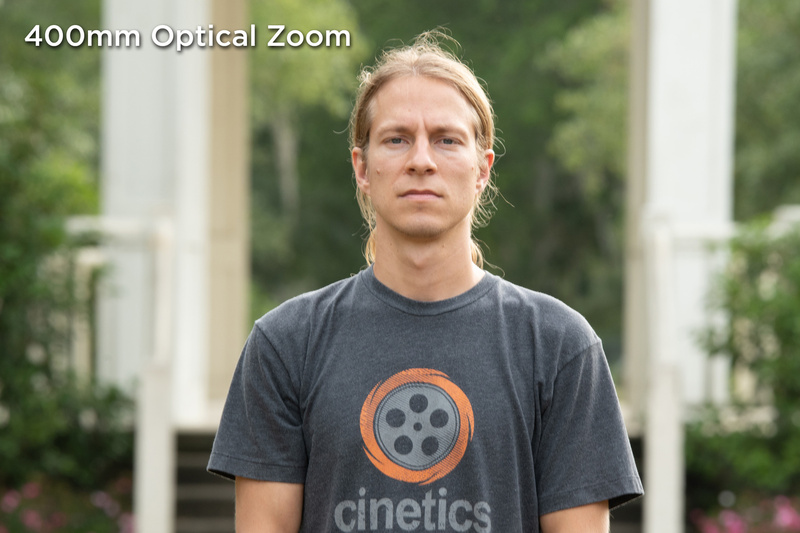 Two years ago, I wrote an article titled "Lens Compression Doesn't Exist," and in that article, I created an animated gif to prove that a wide angle lens cropped in and a telephoto lens will create the same amount of foreground and background "compression" if the camera remains in the same place. I reproduced this example in the video above when I took a picture of David with both a wide and telephoto lens. The fundamental principle boils down to this: to double or halve the size of an object in your frame, you will have to double or halve the distance of the camera to that object, but not everything in the frame is the same distance away from the camera. Your subject might be close while the background is farther away. Let's use my animation of Patrick in front of the gazebo as an example. Let's say that my first shot of Patrick with a 15mm lens was taken 1 ft from the front of his face and the gazebo was 50 ft away from the camera behind him. If I move back one foot so that I'm two feet away from Patrick, his head will now be half the size in the frame while the gazebo will only be 1/51st smaller — less than 2 percent. As I move back, Patrick is becoming much smaller in the frame at a faster rate than the gazebo behind him simply because he is closer to the camera. When I finally back up 50 feet away from Patrick, I will now be 100 feet away from the gazebo. The gazebo will be half of its original size in the frame (50/100) while Patrick will be 1/50th of his original size in the frame. It appears in the animation of Patrick that he is remaining the same size while the background is growing, but in reality, Patrick is getting smaller and I am zooming or cropping in to make him appear to be the same size, and when I do, it's cropping out more and more of the gazebo. If the background object were even farther away, we could exaggerate this even more. Take the sun as an example. The sun is 93 million miles away, and if we wanted to make the sun appear half its size, we would need to back up an additional 93 million miles. This means that the sun essentially appears to be the same size no matter where we are on the Earth. 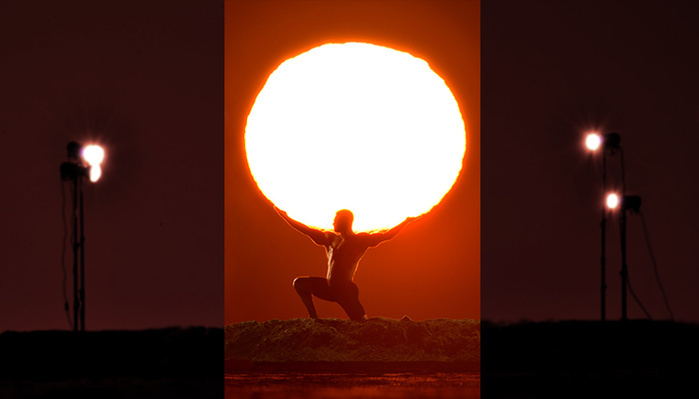 For David's "Atlas And The Sun" photo, he placed a subject in front of the sun and started backing up. As he backed up, his subject got smaller and smaller, while the sun stayed for all intents and purposes the exact same size. He then zoomed into his subject and the sun and was able to create a shot where the sun was the same size as his subject. To take this one step further, I wanted to try to do the opposite experiment as well and get a wide-angle-looking shot by stitching together a bunch of 70mm images. 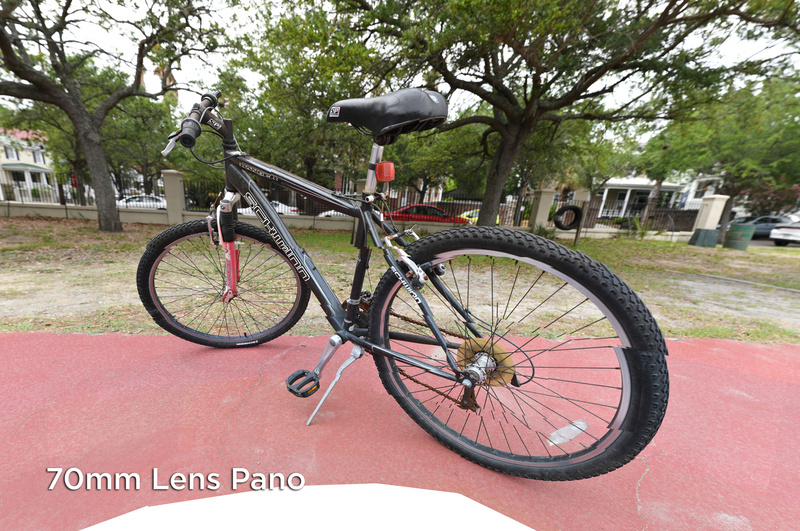 To do this, I sat close to an old bike and shot it with a 15mm lens. As expected the bike looked incredibly warped. The back tire that was closest to the camera looked huge and oval shaped, while the front of the back tire, which was farther away from the camera, looked much smaller. 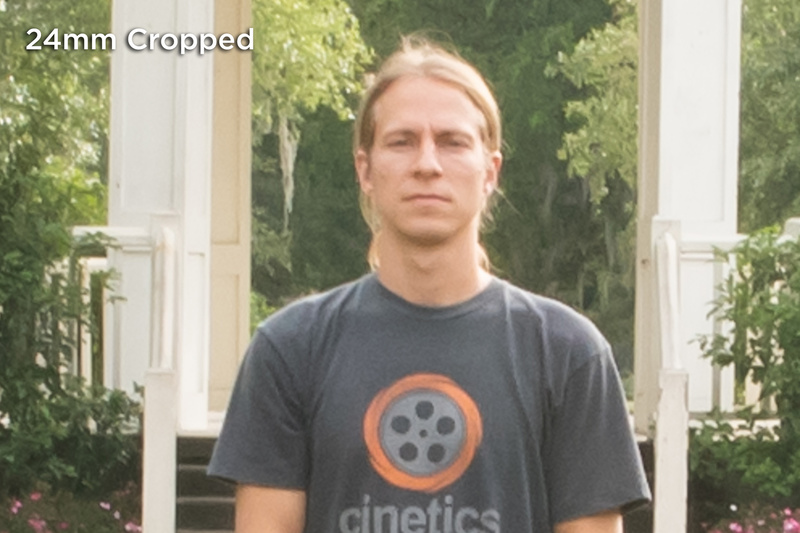 Without moving the camera, I swapped lenses and started creating a multi-row panorama at 70mm. I had a feeling that because I was so close and I was doing this without a gimbal, Photoshop wouldn't be able to create a perfect stitch, but it ended up working well enough. 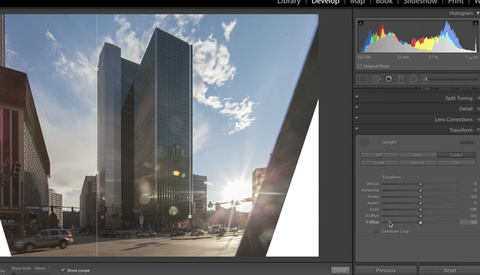 As you can see, we got two images with almost identical perspective distortion taken with a 15mm lens and a 70mm lens. Two years ago, we found that more than 50 percent of photographers didn't understand this, and that's probably because we don't talk about the technical side of things enough. Will this information change the way you shoot? Probably not. Obviously, we still need a range of different lenses to capture a scene without having to crop in or make multi-row panoramas. But hey, it's good to be educated, right? This is so ridiculous. Everybody knows this information. What are you saying? You don’t need zoom lenses when you can just shoot everything with a wide angle lens! OMG! You really cannot follow a conversation. No, that is not what he is saying. BTW I actually didn’t know this. Thanks for the clear breakdown! Stick figures were really helpful too. It’s important to know this correctly. If you shoot interiors or landscapes or most things with multiple subjects then you’ll have a better understanding on how to compose. You’ll know if you put something close to your lens it’s going to have less compression than something further away. The normal incorrect method of teaching only works if you shoot portraits but even then it’s incorrect. Lee, you are absolutely right. Problem is, I find, that no matter how many times that one tries to explain that perspective is only a matter of one's position in space relative to the subject (and other objects), there are those who will insist that “compression distortion,” or what you called, “extension distortion,” (both of which I call “perspective distortion”), is entirely due to the lens. …And no matter how many examples of telephoto lenses one can show which exhibits either barrel or pincushion distortion, and how many examples of wide-angle lenses which also show barrel or pincushion distortion, there are some people who will insist that barrelling only occurs on this type of lenses, while pin-cushioning only occurs on that type of lens. But I thank you for giving your best effort, twice, in this important notion. I'm pretty surprised so many people don't know that. It's pretty obvious if you're at least a little observant, which hopefully photographers should be. Nice demonstration of the topic. 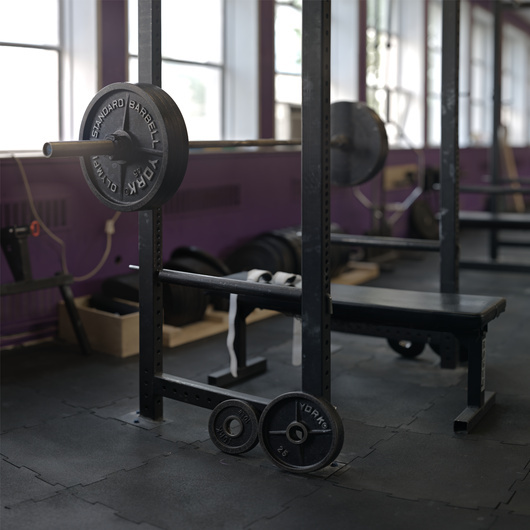 I did something similar with a squat rack at the gym, the other day. Placed myself and framed the shot in my head like I was shooting a wide angle lens, then used a 135mm lens to make a panorama. Similarly, I've walked around with a wide angle lens and an A7RII, saw a shot I would have wanted to take with a telephoto, placed myself to get the perspective right then cropped the shot in post. When it's about lenses, we need to think about field on view. The field of view gives us an idea of what will be projected onto the sensor through the lens. All true, but a 15mm lens can focus on a subject a foot away and an 800mm lens can’t. Big nose and small ears distortion (aka wide angle distortion) can’t be achieved with all focal lengths, so there still is a relation with the lens used. an 800mm with macro tubes can indeed focus on a subject a foot away, and a panorama with a zoom lens can easily create wide angle distortion. 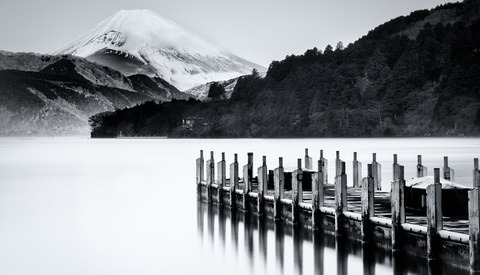 It is all about distance from the subject, not focal length. How exactly do you focus an 800mm lens that’s 450mm long without extension tubes on a face a foot (305mm) away from the sensor? you're talking specifics, not optical physics. u+v = 4*800 = 3200mm which is the minimum subject distance from the sensor. You can also reverse this to calculate the max focal length that is able to focus on a subject 1 foot away from the sensor. Such a lens can’t have a longer focal length than 305/4 = 76mm. that formula is purely for one lens element, not a stack of them, like is in virtually every single commercially available lens. The canon 100mm 2.8L macro lens's MFD is one foot away without macro tubes. I've personally used macro tubes on a 70-200 to focus inches past the front element. I gave you the formula that does apply. I know it’s a formula for lenses of negligible thickness and we use lens systems with many elements for photography. Different lenses have different elements in shape, size and numbers, so you have to talk specifics if you want exact optical calculations for any “commercial lens”. But it really doesn’t matter, the minimum subject distance from sensor will always be at least 4 times the (real) focal length. The Canon 100mm 2.8L macro is a good example. It’s impossible to focus a 100mm lens at 300mm. What happens is that at 1:1 it’s only about a 68mm lens, that what’s known as focus breathing. Canon states in their instruction manual that with a Canon 25mm Extension Tube II the magnification at the near end will be 1.37. If it was 100mm that would be 1.25. It can only be 1.37 if the focal length is about 68mm. See page 14 on the manual. A 70-200 lens at 70mm with extension tubes can focus a foot away, at 200mm it simply can’t. I just put 68mm of tubes on my own 70-200, add to that the flange distance of EF-mount (44mm) and the length of the lens itself and the front element is already a foot away from the sensor. With that setup the closest I can focus is about 450mm in front of the lens, so about 2.5 feet from the sensor. I wondered what the closest focus distance would be on an 800mm lens with extension tubes. I’m not arguing subject distance as the cause of extension distortion is wrong, only that you can’t focus close enough to get the effect with long lenses. While all of this is true, I think Lee is just trolling the Angry Photographer (#kidding). In all seriousness, it's really just another expression of his secret love for the Atlas and the Sun photo. Thank you for this informative tutorial. I found it very beneficial. Too often, I see tutorials/ articles here and elsewhere that seem more like ads for products and services. This was both educational and refreshing. A different kind of article a few months ago was popping up on multiple news sites and addressed this topic for the vain amongst us: people are getting plastic surgery (most notably; nose jobs) because of how they look in their selfies. I like this video. Good one. A corollary of this is that the perspective in a photo is not about the sensor size! It doesn't matter if you have a phone camera with a tiny sensor or a medium format sensor camera, if they're the same distance you get the same photo (with suitable cropping). The explanation of the visual phenomena is awesome. As to the title on youtube "Lens Compression Doesn't Exist" - there is a saying to describe this pure clickbait title "six of one, half dozen of another." If you want to challenge accepted language because it's not precise enough, that's cool. We'll see if it catches on, or if more likely, after watching your video, a few pretentious dudes just start snootily correcting people for using a perfectly valid term. Simply put, without the lens, there is no way to even observe the phenomena this video so precisely explains. So tying the descriptive word "compression" to the object that allows for the very existence of the visual phenomena - the lens - seems not only acceptable, but more obviously descriptive than the more generic sounding (even if more precise), and less descriptive "perspective compression." Besides, who needs all those extra syllables man? Just my own pretentious $.02. =) EDIT: All that said, I love you guys, and actually think this is one of the least photo pretentious sites in general. It's all well and good if you know the distinction, but the problem is that a good number of people don't... which leads to misinformation about how things actually work. The title of the article is accurate, and I think they did a great job of demonstrating it. It's funny you mention pretentious people snootily correcting others, because in my experience the people who are wrong are usually the ones who go about that behavior. Just take a look at how the Angry Photographer responded to the original article Lee posted 2 years ago for a great example of this. It may be generally accepted that, in practice, you use a longer focal length for this effect, but that's a lesson about using the right tool for the job, not about how compression actually works. I still classify that as an important distinction because it's the truth. Look man, the point is it's not a big deal regardless of what you call it. Names are just words. We could call it "spasmagoria" and whatever the word is describing would still just be what it is. ¯\_(ツ)_/¯ Love the video, still think the title premise is kind of click-baity.